@angryllama: You're right. There's nothing wrong with requiring that an immediate tracking no be input; but whoever at EB thought that the address would be included with the delivery comes from another planet! I'm sure that's going to change. "Cutting Ebay and PayPal out of the eCommerce loop is best for all. Let the buyers and sellers deal directly with each other." SOOO right. AMZ wouldn't even do business with Paypal, so that tells you something. I've been writing EB for months asking that they do something like AMZ and deduct the fees immediately when we sell vs. invoicing sellers once a month. That's an old way of doing things. A few facts about USPS tracking services you may or may not know. In case facts may actually matter. Customers can obtain acceptance scan receipts at any retail counter. Clerks who refuse to do so will be subject to discipline as soon as such is reported to the station manager. This is a USPS customer service mandate. Customers can arrange via on-line request to have packages picked up. In that case a package pickup notice is generated at the delivery station and provided to the carrier on the morning of scheduled pickup along with a 'shipment accepted' barcode that is required to be scanned at the pickup point. This automatically acts to apply an acceptance scan to every package associated for that pickup that has a preprinted paid shipping label. Carriers are instructed to scan deliveries at the time of delivery (not in the truck before starting a relay for example). That isn't 'foolproof' of course, but it certainly is actionable in the case of lazy or defiant carriers with preexisting bad habits. Every carrier scanner these days provides an exact GPS location of a delvery scan. Location data is accurate to within 20 feet or so. Although publicly available tracking data doesn't 'prove' specific delivery address compliance, for any specifically questioned delivery, a call or visit to any PO station manager or supervisor (sometimes a clerk who has the time) can obtain it and provide a confirmation of that location to a customer. None of this may 'please' eBay to be sure, but that's not for lack of factually available data. Then again, facts rarely matter to eBay either, so there's that. I think eBay management start the day with "How can we stick it to the sellers today?". If I were a criminal I'd head straight to eBay. They make it so easy. sorry from sending an empty box to a random address within the buyer's zip code. @ZZ ... Do NOT delay in RACING to send a FORM LETTER reply to ALL of those buyers who ASKED what was what while you were away on your MUCH DESERVED TWO WEEK VACATION. Don't stint on giving FULL description that you took the steps that EBAY RECOMMENDED on how to put YOUR EBAY STORE on Vacation. .... and how EBAY let you down. NOT seeing any Negatives does NOT mean that any of those Semi-Angry buyers might AMP up their unhappiness to enough to push them to neutral, negative or the Dreaded Double Strike of RETURN and NEGATIVE for the same sale. 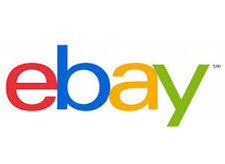 the problem is ebay gets a fail for not auto uploading some tracking numbers , there have been MANY TIMES they have been missing, and we have had to manually enter them into ebay. What ZZ needs to worry about more than the feedback is what kind of DSR's they leave them as those are still vitally important in the search placement. That is why Ebay got rid of that report you could run and see pretty much who was hitting you with anything but 5's by monitoring it everyday and then printing that report off. I used to then see who left feedback on that day to determine who left a low number knowing full well that it hurts you in the search. I would not be surprised to see your competitors doing that to you so they can move ahead of you in placement as i am sure they they have figured out how to game Ebay with this being known. The negative feedback is not really counted anywhere at this point in time, only the DSR's which now none of us can actually see. So once again our fate is to be determined by information that we do not even have access to determine that it is correct. That is my biggest complaint about the 40% feedback increase that is coming to sellers who are being compared to their peers and their peers numbers. There is no way for an outsider to verify Ebays numbers which i do believe will be snatched out of thin air just like their increase in sales % if you follow one of their newly imposed rules. The only way Ebay can know that already is if they manipulate yours and your peers numbers to come out just like they planned for it to work, which would explain the sudden forced usage of Sellers Hub on everybody that Ebay deems to be a business or professional selling business. Ebay built things into Sellers Hub that allows the bots to manipulate everything that you see and do, which is why I have done all I can to stay out of the useless piece of programming. I recently had an INR claim through Paypal so Paypal held the funds. I had purchased the postage on Stamps.com and immediately entered the tracking in Paypal (item purchased on Bonanza, not ebay...paid through Paypal) so the tracking number was already a matter of record but provided it again in response to the claim. A few days go by and Paypal asks me to provide proof of the address to which I sent it and a copy of the postmark! OK, so I did a screenshot of the shipping label from Stamps figuring that was the only "proof" I had of the address to which I sent the package but a postmark!? Even if I hadn't bought the shipping online, in my world, the postmark happens AFTER the USPS has the package. How in the world could I send a photo of that. Don't know if the buyer never responded after that or what but after two weeks, Paypal found in my favor and released my funds. So I wonder if these rules and decisions are being made by people who have never used our postal system? I.e., children under the age of consent or people of foreign origin? One workaround that has been brought forward is to select Freight as your shipping method, no matter what you are shipping. This service does NOT post an estimated date of delivery on the transaction and will never give you or ebay a date. Upon checking with ebay as to whether this is against any policy, it was confirmed by a supervisor (yes, in writing), that it does not. Therefore with no EDD, according to ebay policy (internal secret policy), the earliest that a buyer can open an INR is 30 days post payment date. That will give you 30 days to post a tracking number that shows Delivered. Plus, if you upload a screenshot of the label that you printed or took a photo of before the item was mailed, you have proof of the actual address it was sent to, with the matching posted tracking number. Just thinking outside the box and sharing. "It's an unfortunate reality of ecommerce that items are sometimes stolen or lost on their way to the buyer. Ultimately, it's the seller's responsibility to ensure their orders make it into their buyer's hands, and it's important they plan for the occasional lost or stolen item." THAT policy is a copy of Amazons policy. it LOOKS like eBay will be copying Amazons policy of DC no longer being enough. IE that means that eBay is trying to cut down on those losses ... the "i never got it though it says delivered" BS. I havent seen that in a policy update and I dont go to eBays boards (to have seen a blue idiot write that) so Im glad Marie - that you reposted it here. When it becomes, IF it becomes policy - it means that every ones shipping costs go up by $2-3 for Signature Confirmation and of course - eBay gets more money (since they illegally charge FVF on shipping). BTW - its actually NOT the sellers responsibility to insure that customers are home to take packages from USPS/UPS/Fed Ex, its NOT a sellers issue to insure proper mail box size (to accept packages), and its not a sellers fault to track the item 24/7 to make sure no one porch shops. Those are the BUYERS issues, not a sellers and not USPS. As for the "new" eBay Tracking Requirements .... to those who are "all for it" .... OK WHY? 4) doesnt eBay with its slipping GMV have better things to do then bother sellers AGAIN? If the item wasnt shipped or shipped with out tracking then its on the seller - same as always. If its done same day - great - it should be done right away - but if its NOT - why does entering it in late mean you dont "get protected"? If its entered 3 days later - so what? Its there if/when needed and the data proves the seller right (or wrong). If the seller NEVER enters it and the customer opens a case of INR - and the seller THEN provides it and it shows delivered ... so what? All that means is that they buyer is a liar - not new news on eBay - a good portion are. Its a mess, its a pain, but again the data is there - what ever it says - it says. I fail to see why the 2 posters above - think its even important (and) why eBay has "the right to lie" about coverage. If it was delivered then it was delivered. eBay = lieing, thieving, stealing,conniving rat b@stards. I pay for signature confirmation out of my pocket for EVERY parcel valued more than $50. I have zero people claiming they didn't get a parcel because I have their physical signature which is viewable online. Not only that but I've had three instances where USPS delivered the box to the wrong address. Because of this extra service USPS sent people back to retrieve every one of those parcels, which they did. Any customer that insists they don't want to sign for a package should be avoided. On saying the above-I also ship any Ebay parcels through Ebay shipping which means the tracking number gets automatically uploaded. SMH - the craziness continues! Another eBay scheme to knock down sellers with defects and in turn taking away their benefits = eBay keeps more money. They're destroying themselves and are too stupid to realize it. If you haven't done so already, you need to put this eBay cesspool in your rear-view and try anywhere else, use multiple other marketplaces, and/or make your own site. Keep the seller exodus moving and we can help them along in their destruction. Bye bye eBay. These changes don't affect "defects". Their new mandate about uploading tracking seems to me to be reasonable. For those sellers that are not currently doing it, they have already know they can not become TRS because they can't meet some of the requirements to do so because they don't upload tracking. While INR claims can be a concern, most sellers resolve them easily with online tracking. There is always the few that the online tracking is incorrect or missing. Fortunately those are not a frequent as the ones that have correct information. Now the new stuff that they may or may not [it is uncertain at this point since no one at Ebay will admit it] be requiring the delivery address to show on the tracking / delivery confirmation. Even if they actually follow through with this ridiculous requirement that we can't possibly adhere to, it doesn't increase "defects". INRs are not counted in the Sept requirement that we will be eval'd on for number of claim vs what the average is in our peer group. That is ONLY for SNAD Requests. INRs have their separate calculation and it is on the mere fact that they are opened. It has NOTHING to do with the outcome of the claim. Just like SNADs, it has nothing to do with the outcome. Only the fact that they were opened. So while I completely agree that Ebay is implementing some rule changes that can benefit them financially and hurt sellers significantly, by pushing them into a 40% increase in FVFs. I don't see this particular discussion as affecting that. But just my opinion. Not sure how you think more INR cases that'll be opened isn't a problem? eBay is just escalating this further in the buyer's favor. If INR aren't currently counted heavily against sellers you can bet they soon will be. And then they'll hit you for all INR in the last year on top of it. eBay will never regress in seller punishment. As I've already read eBay's own shipping software sometimes doesn't upload the tracking number! If a seller isn't using a 3rd party shipping program that's connected to eBay tracking numbers aren't uploaded automatically. I'm sure many smaller sellers still don't use these programs and it's a hassle to upload every tracking number manually to eBay. If the buyer would open a case it shouldn't matter when the seller uploads tracking as long as it shows Delivered. eBay just keeps coming up with more anti-seller policies seemingly on a daily basis. As usual I now pay little attention to what eBay is doing or demanding these days. I find myself listing on my own website more often than not these days. I've jumped thru every single hoop ebay ever threw at me and it doesn't initiate sales now does it? Yesterday I sold one item at $17 on ebay - I sold one item on my website for $40 and got to keep all the money. Where are the ebay buyers? You know those millions of buyer they keep yelling about. If they come to end our relationship I'm glad I sell on other venues. Oh, that would make a difference in our opinions. I did not realize that you feel that this rule change will increase INRs. IMHO it will have very little affect if any on increasing the amount of INRs. There is always a problem with some buyers that are out to get whatever they can at the expense of others. But fortunately that is a small fraction of buyers. Most do not behave this way. INRs have a different way of being counted against us in the Fall Seller Update. NO, they are not going back a year. They are going retroactive to June of this year. It appears that enough sellers yelled loud enough and Ebay actually decided that it wasn't fair to go back a year. So they are going back to the approximate date that they announced the upcoming changes for SNAD Requests. What if the time gone by since delivery is, say 45 days, and a buyer suddenly decides they have an INR. The USPS has been known to flush their database after a short period of time. The tracking information will come up as "not found". Then, it wouldn't matter if tracking was entered before or after shipment.